What the buzz? Jupiter has gone from Lord of Olympus to Lord of the Flies…oh how the mighty have fallen! 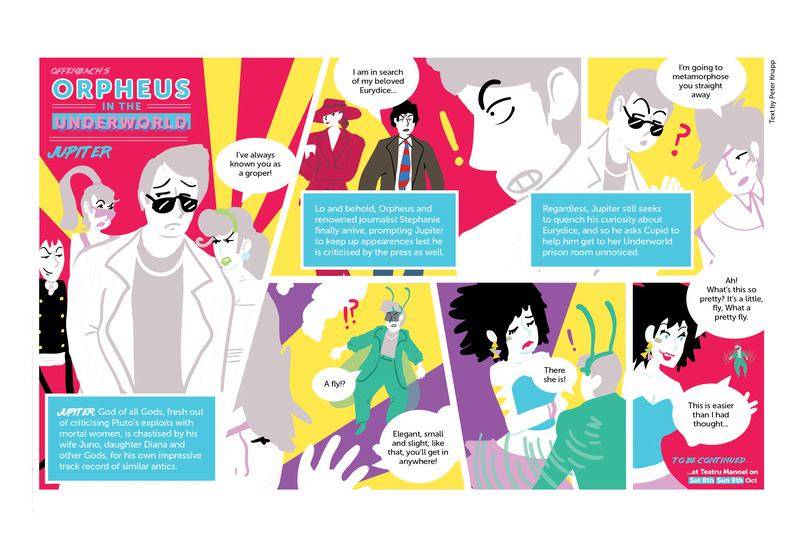 Our latest comic in the Orpheus in the Underworld saga continues! And you can watch how the story unfolds at Teatru Manoel on the 8 and 9 of October! Book now!